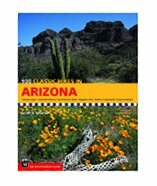 This guide covers the extensive trail networks within the Tucson Mountain and Rincon Mountain units of Saguaro National Park, along with the Pusch Ridge Wilderness and the Santa Catalina Mountains in the Coronado National Forest. Camping, alpine skiing, cross-country skiing and snowshoeing, rock climbing, and mountain biking are also covered. 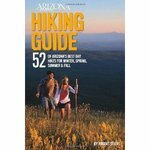 Two books in one, this hiking guide features 100 of Arizona's best hiking trails, and an authoritative guide to the natural history of the Grand Canyon State's landscape. Ganci's knowledge of native species and local conditions, accompanied by 30 line drawings and 15 maps, helps hikers learn to identify each region's geology, weather, plant and animal life.